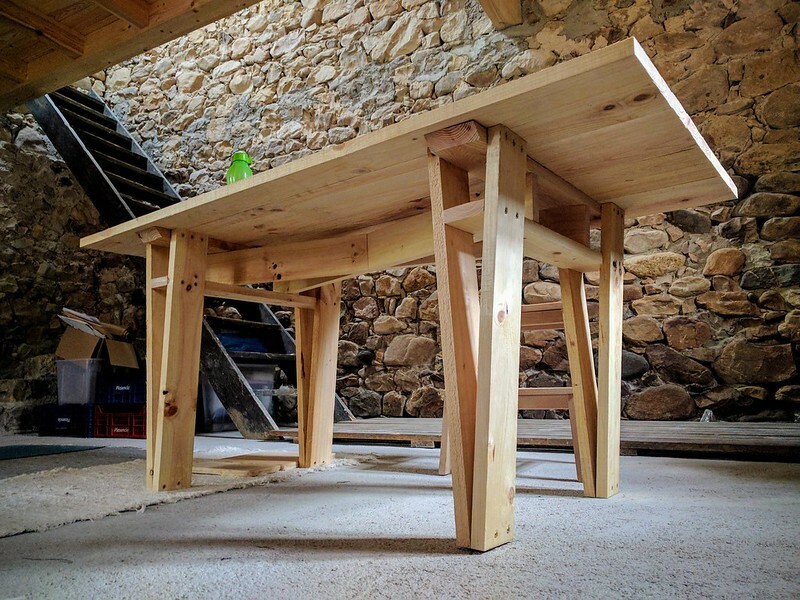 Inspired by Enzo Mari and his autoprogettazione furniture series from 1974, at Easter I made a table from standard dimension rough-cut Galician pine. I hacked the design - cutting fancy angles for the cross rails and leg supports - but my hat is still well and truly tipped; the engineering -counter braced triangles- is brilliant. 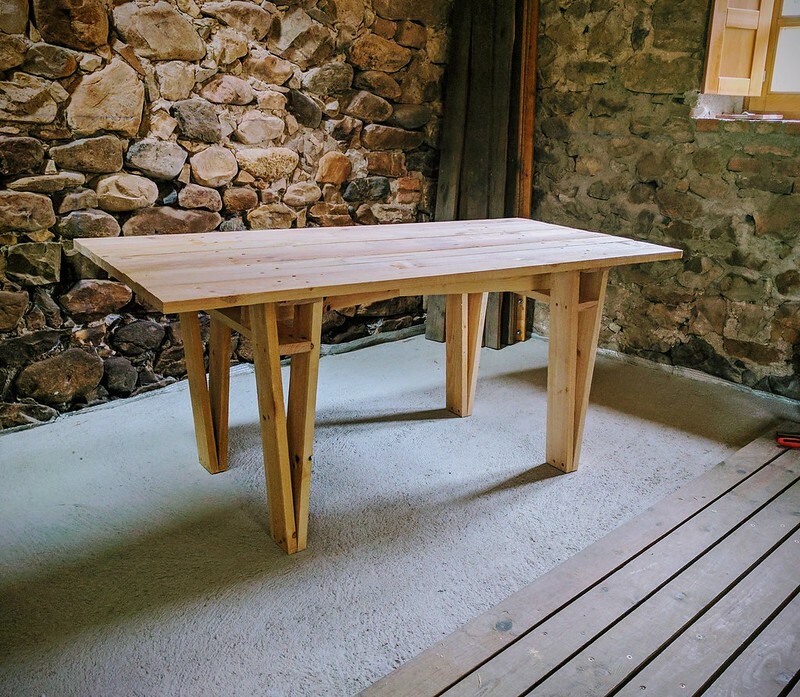 The table is rigid, sturdy and beautiful, if ever there's an earthquake I'll be under it, and, I only used hand tools. I've also made a prototype chair, an upcycled garden version of the table from an old door, a lamp for my table, a bed base, market stalls, a bamboo bicycle and some films about home too.